Germany lifted the Confederations Cup for the first time ever in Russia in 2017. For the first time in two years, Joachim Löw’s Germany team are officially the number one ranked team in the world. Released on Thursday, FIFA’s new rankings confirmed that the FIFA Confederations Cup winners have climbed to top spot, overtaking Brazil and Argentina. 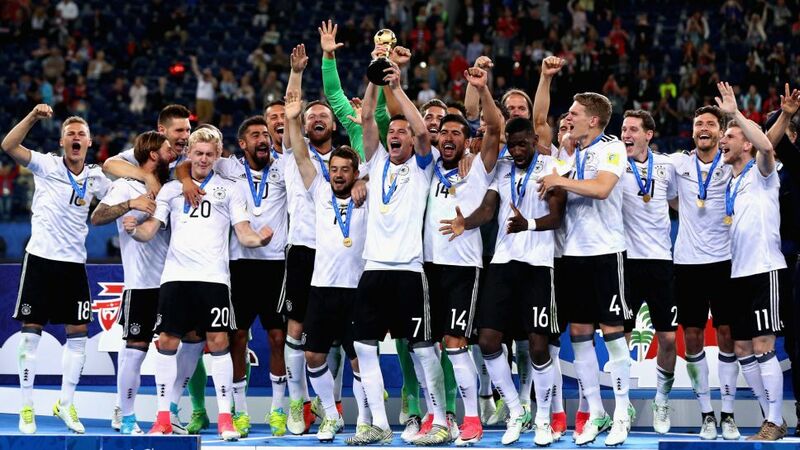 The rankings come after a golden summer in which the world champions beat Chile 1-0 in the Confederations Cup final in Saint Petersburg to win the Confederations Cup thanks to a goal from Lars Stindl. Separately, Germany's U-21s also tasted European glory in Poland. With four games of FIFA World Cup Russia 2018 qualifying to play, Germany have a five-point lead over Northern Ireland at the top of Group C.
The next international fixture for Joachim Löw's side takes place on September 1, a qualifier against the Czech Republic in Prague, followed by another qualifier against Norway three days later in Stuttgart. FIFA will publish the next World Rankings on August 10.